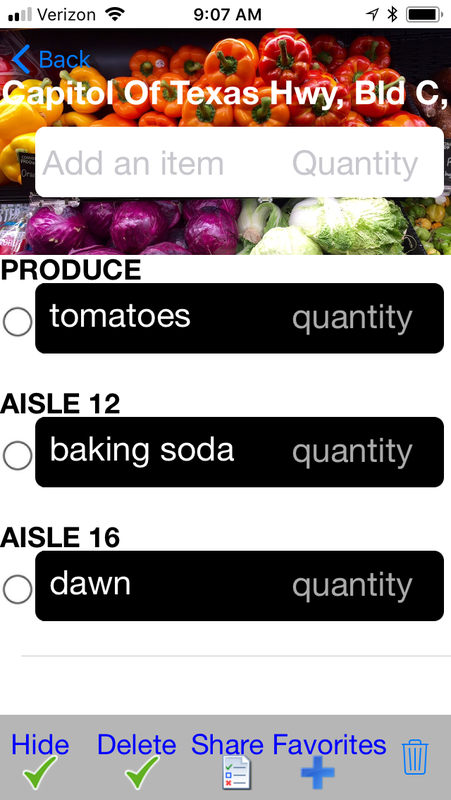 Aisle Helper is an app that will help you find items in a grocery store. You search for your grocery store, and then create your grocery list like normal. However, the app will organize items it knows in sections like "Produce" or "Fish". It can also organize items it knows into aisles, like "Aisle 12" or "Aisle 14". For most stores, this information is crowdsourced, but for all HEB stores in Texas, the app already knows the location of every item in the grocery store.